Even though Thanksgiving isn’t really a holiday celebrated here in Australia, this year my family decided to get in on the action anyway as a number of us will be away over Christmas (and we like to party with or without good reason). 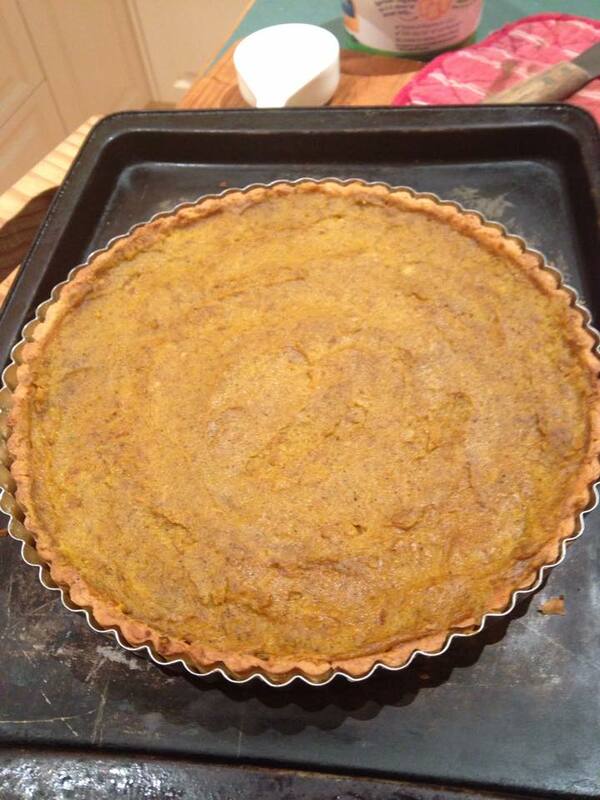 So, in keeping with tradition, I made a pumpkin pie for dessert. I had no idea what to expect having never tried one before, but gave a highly rated recipe I found online a go and was really pleased with the result. If I didn’t know there was pumpkin in there (and it wasn’t orange) I wouldn’t pick it because it’s really the vanilla and spices that come to the fore, with the pumpkin providing a creamy, sweet back note. Pumpkin-y or not it was delicious and I’ll probably make it again when pumpkins are in season. To make the pastry, put the flour, icing sugar, butter, yolk & water into a food processor and process until it just comes together. Press into a ball, knead gently on a floured surface until smooth & then refrigerate, covered in clingfilm, for 30 mins. Preheat the oven to 200°C fan-forced. Lightly grease a 23cm flan tin or pie dish. When the pastry has chilled, roll dough on a floured surface until large enough to line the tin (I often have a bit left over). 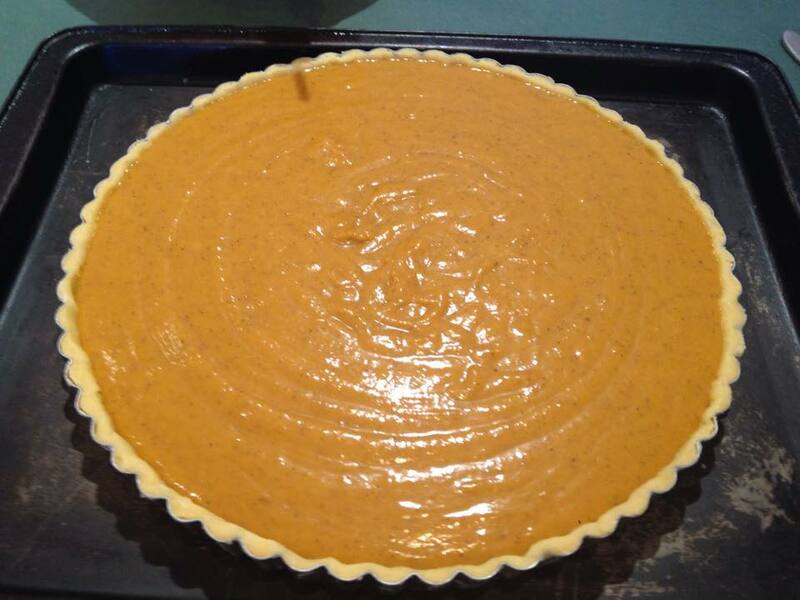 Lift pastry into tin, ease into the sides & then trim the excess. 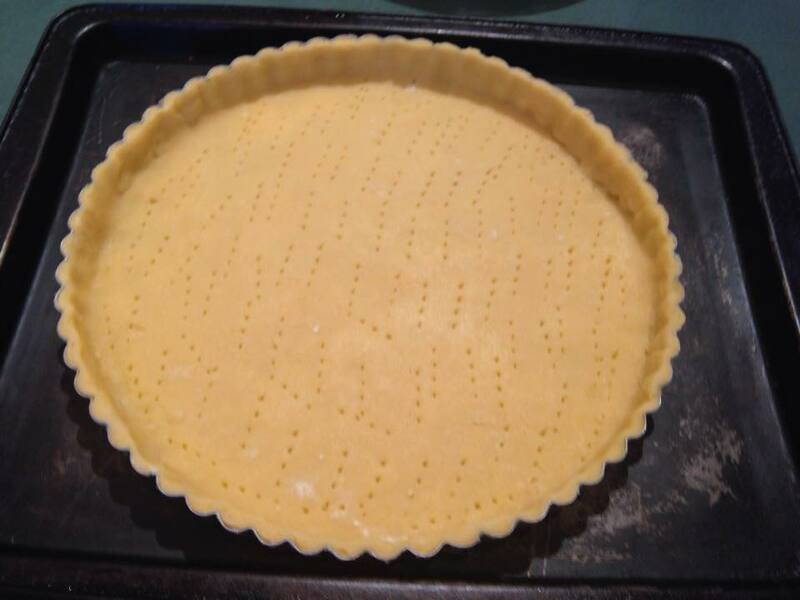 Cover the pastry with a sheet of baking paper and fill with pie weights or uncooked rice. Bake in the oven for 10 minutes. Meanwhile, whisk eggs and sugar until smooth. 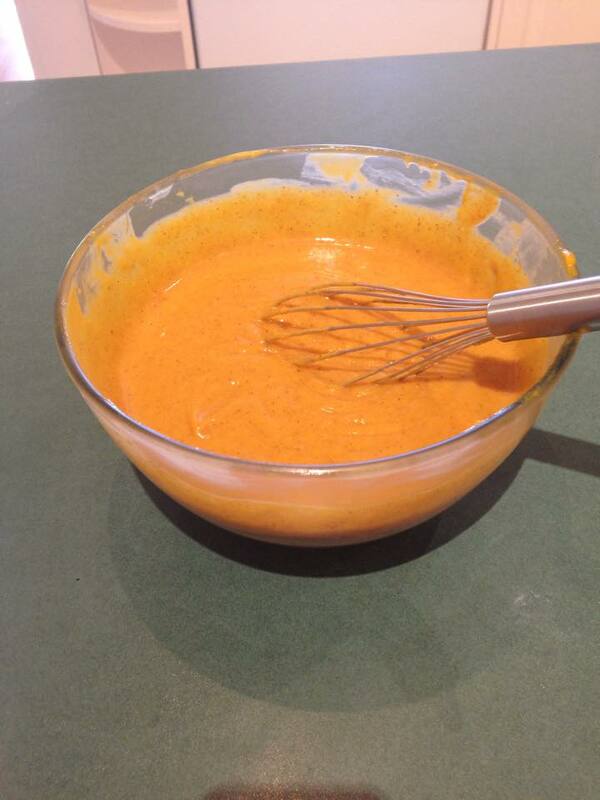 Add the pumpkin puree, cream, vanilla and spices and stir until all incorporated. 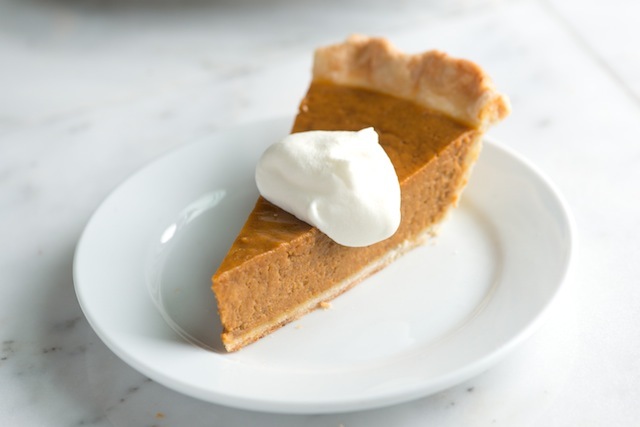 Bake pie in the oven for 10 minutes before reducing the heat to 160°C fan-forced for around 30-40 minutes, or until a skewer inserted comes out clean. 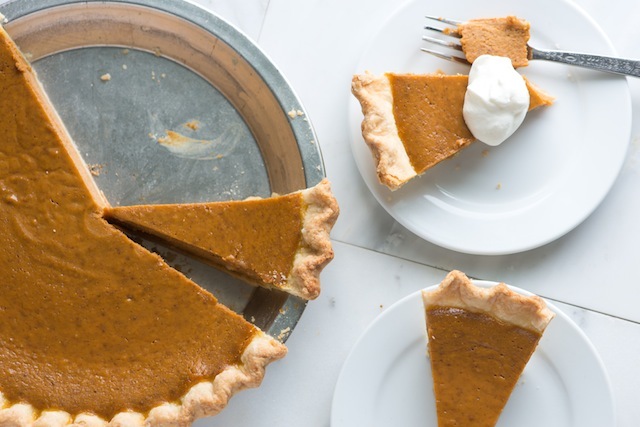 Let cool completely before transferring to a serving platter and then serve at room temperature with whipped cream or ice cream. Enjoy!